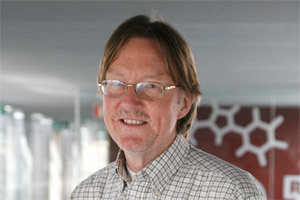 Piet van Leeuwen is Emeritus Professor of Homogeneous Catalysis at the University of Amsterdam and Emeritus Professor of Industrial Homogeneous Catalysis at the Technical University of Eindhoven. He has (co)authored more than 400 publications, about 35 patents, and is (co)author (co)editor of 9 books, of which stands out his popular textbook Homogeneous Catalysis; understanding the art. He has (co)supervised almost 50 PhD theses. In 2005 he was honored with the Holleman Prize by the Royal Netherlands Academy of Arts and Sciences. From 2006 to 2009 he held a Marie Curie Chair of Excellence in the ICIQ. In 2009 he was awarded a European Research Council Advanced Grant for his project “A New Vision on Nanocatalysts, NanosOnWings”. He has received two doctorates honoris causa, one in 2009 from the Universitat Rovira i Virgili, Tarragona (Spain) and one in 2014 from the Universidade Federal do Rio Grande do Sul, Porto Alegre (Brazil). He is co-editor in chief of Catalysis, Science & Technology, editor of Catalysis by Metal Complexes, and member of the editorial board of Advances in Catalysis. He is Fellow of the Royal Society of Chemistry since 2008.